Trezor One is a hardware wallet used for securely storing cryptocurrencies. Launched by SatoshiLabs in 2014, the Trezor wallet was the first of its kind. Supporting a wide range of cryptocurrencies for an affordable price, it can be used as both a secure cold storage solution and for every day hot storage. In this Trezor One review, we will go through all the things you need to know before deciding to order this key-sized peace of mind. The setup process can take up to 10-15 minutes, but it’s pretty straight-forward and easy to follow. After you complete the whole process, your assets will be secure and their wallets safely offline. To start the initialization process, the first thing you need to do is to connect the device with your computer by using a USB cable. There are a few ways to connect your device with the wallet. SatoshiLabs recommends using the Trezor Bridge — a tool used to ease the connection between the wallet and your browser (such as Firefox and Google). After installing the latest firmware and creating a new wallet, the next step is to create a backup. The device will create a set of words (recovery seed) for you that is randomly generated and used for recovery purposes. You should write them down and use them in case your wallet gets damaged or lost. However, make sure you store your recovery seed in a safe place, because if you lose it, there is no way you can recover your wallet, and your bitcoins will be lost forever. During the initialization process, a PIN code is also created by the user using the device. The maximum PIN length is 9 digits and is required to manually confirm transactions on the device. Trezor wallet is one of the most secure wallets in production for a good reason. To begin with, the package comes with a holographic tamper-proof sticker on it. If you notice any damage to the protective foil, you should not use the device, and contact their support services instead. The PIN code is entered by clicking on a pad in your browser. The pad shows dots instead of numbers, and the layout should match the position of numbers (1-9) shown on the wallet’s display. The layout changes every time you are using the device. This way, a hacker with remote access to your computer won’t be able to steal your PIN or see what you are entering. When using the device, every time you type in your PIN wrong, the wait time between attempts is increased, and after 15 attempts the device wipes itself completely. The recovery seed contains 24 words that are randomly generated. For security reasons, these words are generated offline by the device, which keeps them isolated and free from digital threats. You must store this seed offline, so it can’t be compromised. When the Trezor wallet is delivered, you will get a piece of paper with it where you can write the seed down. In case you need something more durable, you can use Cryptosteel — a stainless steel vault designed to keep your recovery seed, private keys or passwords unaffected by fire, flood or other disasters. As we mentioned earlier in our Trezor One review, this wallet can be used as a cold wallet or a hot wallet. 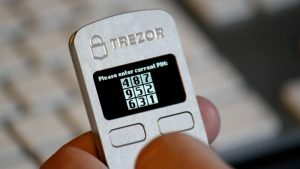 However, Trezor One is designed to store a substantial amount of money and should be rather used as a vault. You will need it only when you want to send coins as you will need to manually confirm each transaction on the device but to receive coins you don’t need to confirm anything. 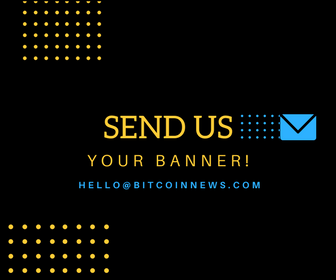 Transactions can be approved within minutes with minimal interaction with the wallet. All you have to do is to enter a PIN code and confirm each transaction on the device. Trezor supports more than 500 coins including Bitcoin, Litecoin, Ethereum, Dash and ZCash. This 12g device works as described. Although the initial setup process might require a bit of work, your latter interaction with the wallet should be minimal. One drawback is that many users are disappointed with its physical appearance as it’s made of plastic and looks cheap. Another issue for many is that Trezor One does not support Ripple. However, SatoshiLabs has taken this criticism on board and have addressed these problems with the new Trezor T model. Overall, Trezor lives up to its name and besides those minor issues mentioned above, it’s definitely worth your attention. Trezor One is available in white and black with its price hovering at around EUR 80. We are hoping that this Trezor One review has cleared any doubts you had, and if you are interested in purchasing it, you can do so here. Disclaimer: BitcoinNews does not provide any warranties towards the accuracy of the statements in the above Trezor One review. Any content on this site should not be relied upon as advice or construed as providing recommendations of any kind. It is your responsibility to perform your own research of the wallet. Trading and investing in cryptocurrencies involves considerable risk of loss and is not suitable for every investor. Also, If you would like to check out our other reviews you can do so here.